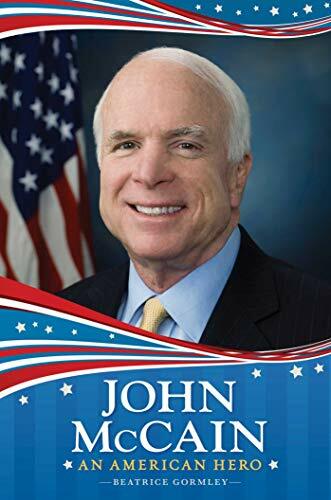 Learn all about the life of Senator John McCain in this enlightening biography specially written for a younger audience. Following both his four-star US Navy father and grandfather into military service, McCain’s naval career imprinted the code of honor he has maintained to this day. Throughout the myriad life and death perils he faced—most notably being held captive as a Vietnam War prisoner of war for five and one half years in the Hoa Lo Prison or ‘Hanoi Hilton’—his courage, bravery, and tenacity has served him time and time again: as Navy liaison to the US Senate, as a member (and then chairman) on the Armed Services Committee, Commerce Committee, and Indian Affairs Committee, playing a key role in restoring diplomatic relations with Vietnam, championing finance reform by sponsoring the McCain-Feingold Act, and as the Republican nominee for president in 2008. Beatrice Gormley’s enriching biography tells the riveting story of one of America’s last, great, enduring heroes. If you have any questions about this product by Aladdin, contact us by completing and submitting the form below. If you are looking for a specif part number, please include it with your message.